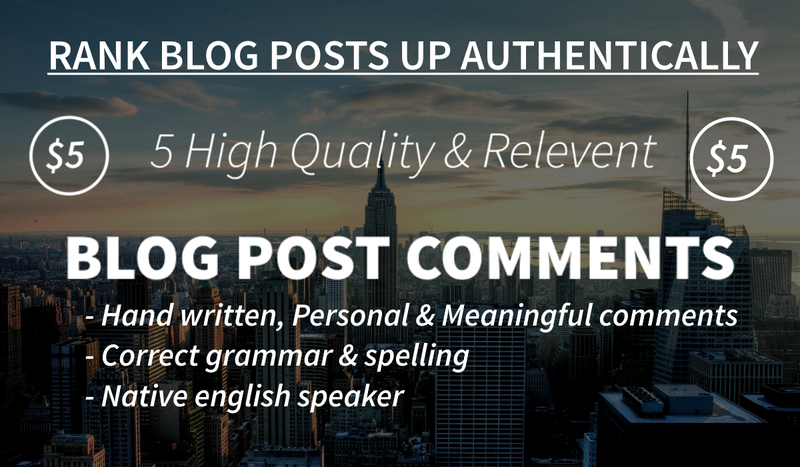 I will post 5 high quality and content relevant comments onto your blog within 3 days or 5 days, drip feed if preferred. I will be posting unique non bot user information as well as comments between 30-100 words. I am also a native english speaker born in Australia so I am not like the rest of these non english fobs on this site. I will provide HQ service. I have been a experienced webmaster for 5 years now, running projects and schemes everywhere from petty scams to article writing. I am doing this for a small side hustle. These are the blogs I run!